Have you thought about adopting a new pet for Christmas? Far from dismissing the idea, animal welfare groups now support the practice of gifting a pet for Christmas – so long as it’s done the right way. With less than a month to go before Christmas Day, here’s what you need to know if you’re to gift a pet a new home, plus seven tips for success. Opinions about pet ownership are constantly changing. The old dog dominance theory – that says pet dogs have a pack mentality and owners should be the alpha dog – has long been debunked. Letting animals sleep on the bed is no longer taboo. Shelters have learned that drastically reducing adoption fees does not increase the likelihood of pet re-surrender, or the level of people’s attachment to their new pet. Now, just as shelters used to block black cat adoptions around Halloween for fear of dumping afterwards (or worse), shelters that once warned against adopting pets at Christmas are now embracing the idea. Some shelters are even advocating this time of year can actually be a good thing for both the animal and the new family, as everyone is home to help the new pet settle in. RSPCA Victoria is one organisation that has changed its message regarding pet adoptions at Christmas. Chief executive Liz Walker says a pet at Christmas, or a voucher for pet adoption at a shelter, can be a good idea – so long as it is not a surprise present. Data from RSPCA Victoria supports this, with no spike in the number of surrendered pets in the months immediately after Christmas, and indeed very few surrenders seen throughout the year because of a pet being an unwanted gift. 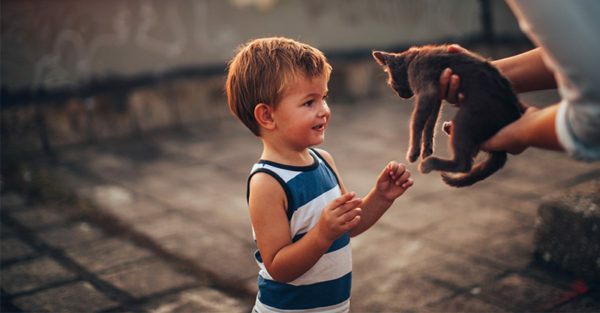 This finding agrees with US survey results published in 2013 that found no significant association between receiving a pet as a gift and relinquishment soon afterwards. Although the number of cats entering RSPCA Victoria shelters spikes annually between November and January, this is because of kitten season. This is the time of the year when non-desexed female cats give birth to coincide with increased warmth and availability of food. This phenomenon is replicated across the country, placing huge pressure on staff and resources at shelters due to the flood in kittens. To help stop the enormous number of unwanted cats and dogs entering Australian shelters, it is really important to desex your animal (especially cats before kitten season). There is a misconception that most animals end up at shelters for behavioural problems or medical issues. One of the most common reasons for pet surrender in Australia is a lack of pet-friendly rental accommodation. This is why the current push to change some tenancy laws around pet ownership is so important. Additionally, with the rise in popularity of certain breeds such as French Bulldogs, puppy farms set up to supply these dogs are often raided due to the horrific conditions the dogs are kept in. These animals then end up in shelters. We encourage all Australians considering adopting a cat or dog to visit their local pound or shelter. Sadly, it is estimated more than 175,000 dogs and cats are euthanised annually in Australia. This figure comes from the Getting to Zero movement which incorporates euthanasia rates from shelters that publish their statistics, such as the RSPCA, and Animal Welfare League (both organisations that don’t euthanise healthy, re-homeable animals). It also includes an estimate of the number of animals euthanised at the roughly 500 council pounds across the country. Unfortunately, most council pounds do not publish their statistics on euthanasia rates, which makes it difficult to truly assess the problem. Some do try to rehome unwanted animals. Pet ownership is a wonderfully rewarding experience, with many studies showing pet owners have improved physical and mental health and are more social. 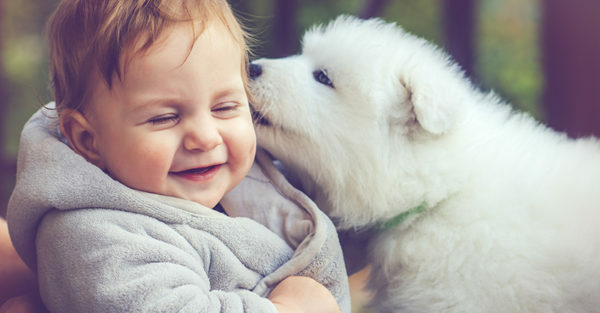 One study found that Australian ownership of cats and dogs saved taxpayers almost A$4 billion in health expenditure over one year. Positive training techniques are more effective and humane than punishment techniques. Reward animals for doing the right thing with treats rather than punishing them for doing the wrong thing. If adopting a pet for a child, remember the parent is ultimately responsible for the pet (so be prepared to take care of the animal!). Christmas decorations and ornaments such as tinsel and Christmas tree hangings make wonderful objects to get stuck in the stomach after swallowing, so keep them out of reach of pets to avoid unnecessary and expensive surgery. Dogs can get very sick with pancreatitis after consuming a fatty meal, so no feeding leftover Christmas ham or sausages. Dogs and chocolate don’t mix. Keep boxes of chocolates securely in a cupboard. You must be ready to commit both the time and money required for the lifespan of an animal, which could be up to 20 years. Consider adopting an older cat (eight years and over) or a middle-aged dog (five to eight years of age). Research consistently shows that animals in these age groups are the hardest group to re-home and hence spend the longest time in the shelter. So if you’re ready to make the commitment, go on, visit your local shelter and make this Christmas one to remember for you or the owner of the newly adopted pet. Consider adopting an older dog or cat from a shelter – Dookie, at 12 years of age, still loved getting into the Christmas spirit! Written by Bronwyn Orr, Veterinarian and PhD candidate, University of Sydney and Mark Westman, Veterinarian, Associate Lecturer in Veterinary Microbiology and Animal Disease, University of Sydney. This article is republished from The Conversation under a Creative Commons license. Read the original article.